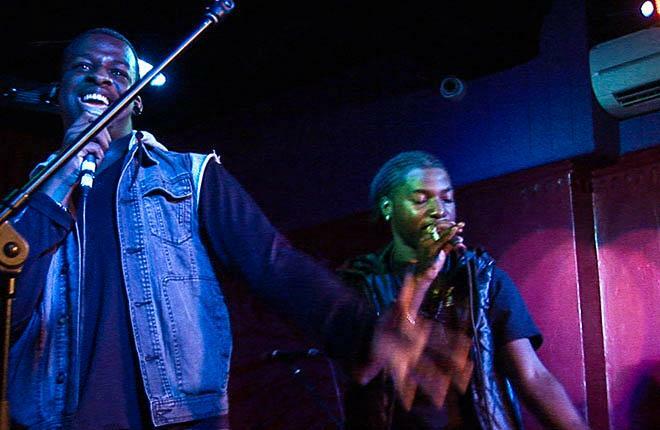 Daniel Vincent (20) and Joel Fender (21) form the exciting RnB/soul/pop duet named: In'Sight. Recognizable by their soulful sound alongside powerful harmonies, In’Sight pride themselves on creating timeless and emotive music. The duo (both graduates of the BRIT School of Performing Arts) list amongst their musical inspirations artists such as: Boyz II Men, Luther Vandross, Beyonce, Jazmine Sullivan and Usher. Over the past 12 months In'sight have had the privilege of performing at events in some of London’s biggest venues including Indigo O2, Proud 2, Hackney Empire, Jazz Cafe, XOYO and many more. Their live performances have seen them perform alongside a string of talented performers from both the UK and the US including Ed Sheeran, Wretch 32, Maverick Sabre, Bluey Robinson, Jagged Edge, Silk and more. In February 2011 the duo released their debut E.P. called ‘Flying High’ which includes features from other artists such as Lioness. The creation of this E.P. was an excellent example of the duos musical capabilities as they are not only both amazing vocalists but are both excellent songwriters and they both played a huge role in producing and arranging all of the tracks on the E.P. It must be said that the full impact of In’Sight is best heard during their live performances. Whether performed acoustically or with a full live band, their breathtaking harmonies, unparalleled vocal range and excellent stage presence captures the attention of audiences every time and is one not to be missed. The duo have ended 2011 on a real high. Their self-managed YouTube campaign in November called 30 Songs in 30 Days was a great success as they raised their profiles singing a number of different songs showcasing their broad talent. This was then followed by a support slot on a show featuring Ed Sheeran, Wretch 32 & Mz Bratt. With plans for lots of online promotion to coincide with a single release in January 2012, In’Sight definitely fall into the category of “ones to watch” for 2012.